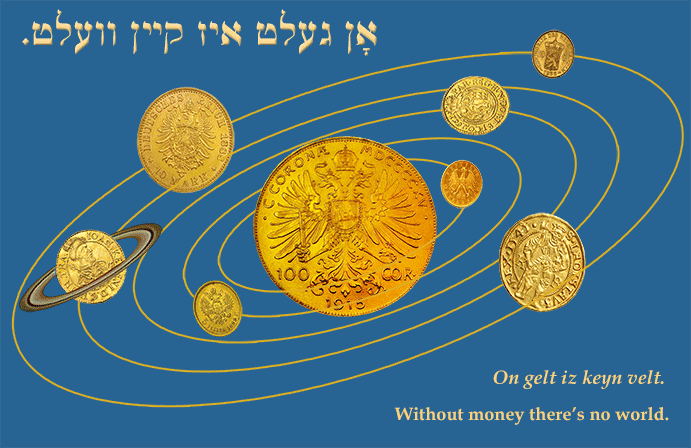 Yiddish Proverb: Without money there is no world. אָן געלט איז קיין וועלט. On gelt iz keyn velt. Without money there's no world.